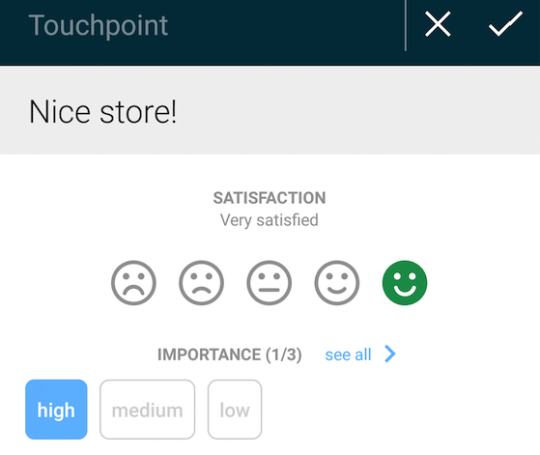 Predefined tags enable your participants to categorize touchpoints on their own and make analyzing data much easier and faster. 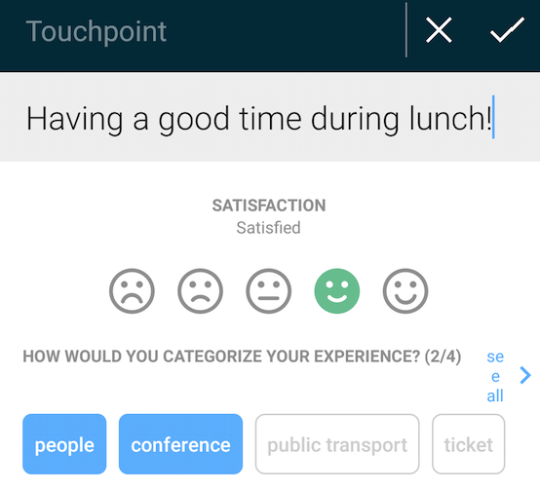 Predefined tags enable your participants to tag their experiences on their own when creating the touchpoint and by using the tags you provide. Each experience can be tagged with one or more tags. Researchers can afterwards use these tags for their analysis and work with them just like with traditional tags. (1) decide how you would like your participants to see tags. Tags? Categories? Problems? Scale? Give it a name or ask a question, like in the example below. (2) set the tags you would like to include. You can set as many tags as you want, however be aware choosing tags will cost your participants time. Please be aware that this can help participants focus on certain aspect of the experience, but can also lead or bias the participant a bit – so choose wisely! 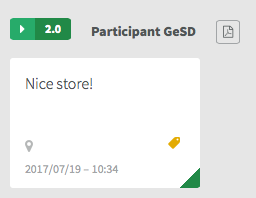 As a hint: if you would like to collect feedback outside of the predefined tags, it could help to e.g. include a tag “other” to make people aware that their reports are not restricted to a set of tags. As the raw data always shows you the exact data your participants have submitted to you, in your raw data tags will be assigned already and can’t be deleted. You will also recognize the tag symbol is yellow. Predefined tags also give you the chance to add a second scale to your research project. Now you can e.g. research satisfaction with the classic ExperienceFellow 5-smileys-scale, and additionally add a second scale with the dimension and scale you’re interested in, e.g. a 3-point scale for importance (with the tags “high”, “medium”, and “low”). Predefined tags will give the participants some guidelines and the researcher will save time with the analysis. However they should be used very carefully in order to not restrict the participant in his reporting.